Super yummy Kahlua based coffee cocktail rimmed with Snowy River chocolate diamond sugar rimmer. For lovers of coffee this cocktail can be served at any time and is a super fun way to end a busy day. 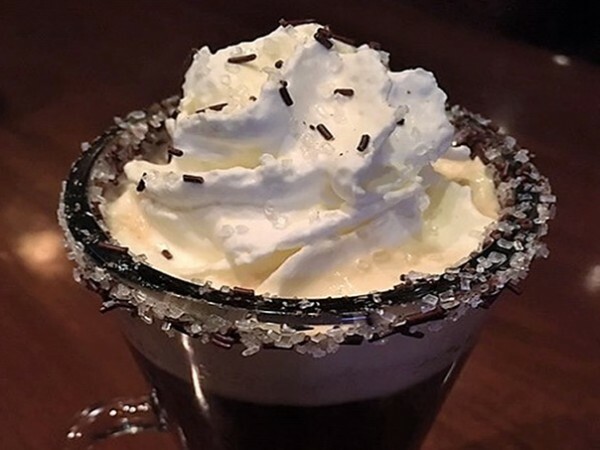 The sweet chocolate rim accentuates the coffee and Kahlua to create one of our favorite drinks. Snowy River Chocolate Diamond rimmer. Pre-rim the glass with Snowy River Chocolate Diamond using simple syrup or egg white as the binding agent. Add the Kahlua to the cofee. Extra Feature: Sprinkle Snowy River chocolate diamond onto the top of the cream.